Please do not think that I have developed a sudden fascination for Dhabas! After the last post on Dara's Dhaba it is sheer coincidence that this post is following it. So this place called Fusion Dhaba in Thane is not new to me. I have been here umpteen times before. Among the many reasons that makes me go back to it is that, there is no waiting here, not on a friday evening and not even over the weekend. Obviously the food is good and the ambience, soothing. They have a big screen too which makes it ideal on days when you are looking forward to watch an important match and unwind. My guess is that due to its offbeat location, at Wagle Estate, Thane, not many people choose to drop in there. Oh yes, I must add I love the water fountains at the entrance. The sound of water has an amazingly soothing effect. That reminds me of Spice Lane Resto Bar. 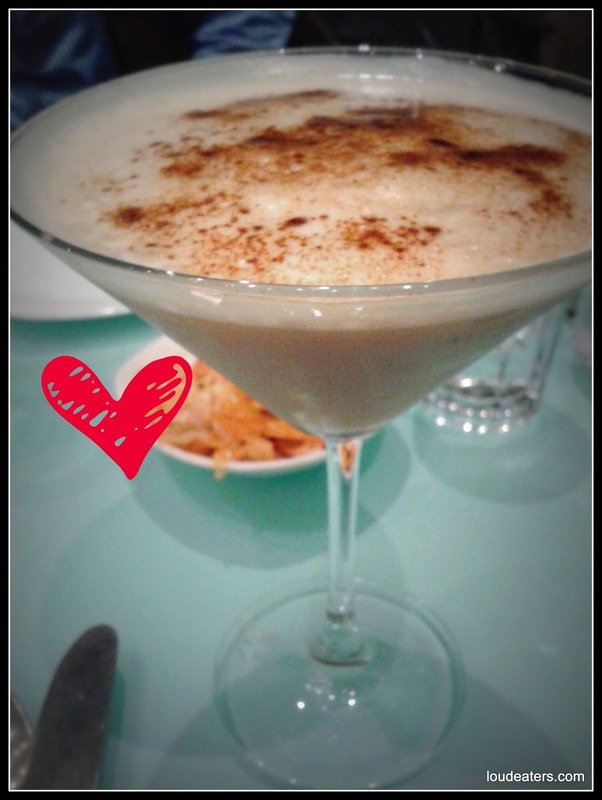 So many happy evenings spent at Fusion Dhaba but it was only yesterday that I discovered a cocktail on their menu, the flavour of which refuses to leave my tastebuds. Espresso Martini is the name and I want to go overboard appreciating it by adding the prefix - perfect! Melting on the tongue and smooth as silk, I am in love with this drink. A picture for you. And I dedicate this post to the one in the picture above. 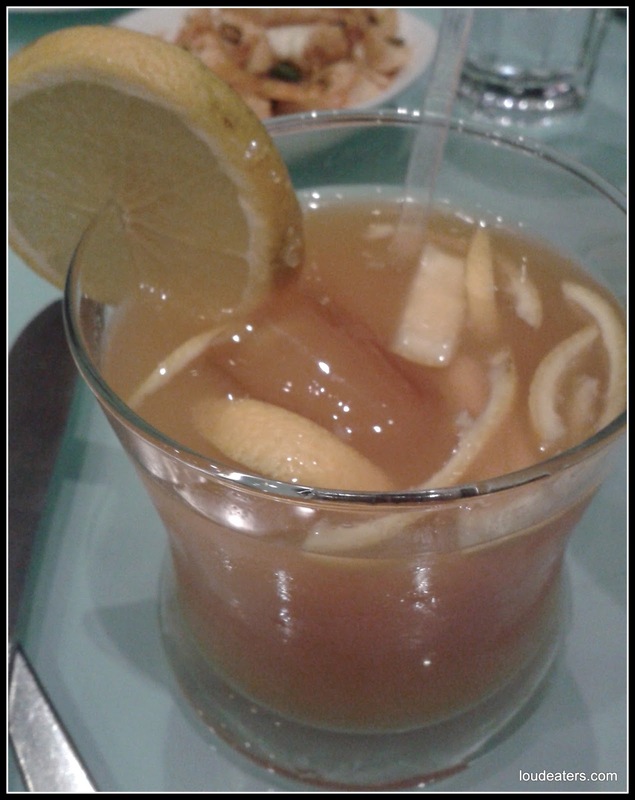 We also tried their Whiskey Crusta which is whiskey with citrus juice. They did something fancy with a flame and a glass of whiskey with orange peels floating inside. It was this fancy thing that I remember more than the taste which classifies the drink in the just fine category. Like I mentioned earlier the food is good and I vouch for that as I have tried most of their starters and the punjabi dishes on the menu. 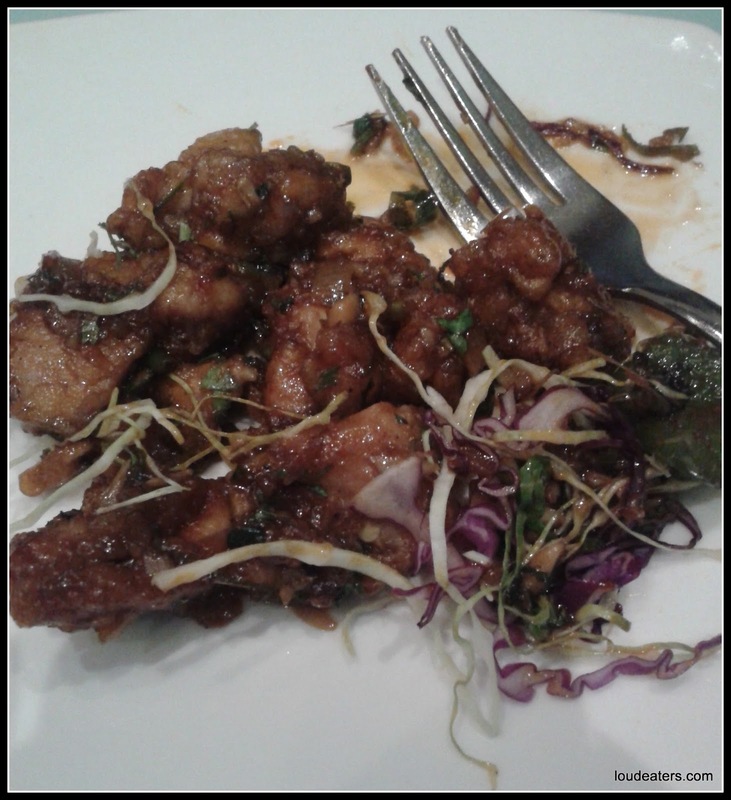 This time we went along with the recommendation of the waiter and ordered the Cantonese Lemon Chicken. These are deep fried chicken strips coated with egg and cornflour batter with a hint of lemon. The service is slow but do visit this place for all the reasons I mentioned earlier. And I shall keep visiting for the Espresso Martini!